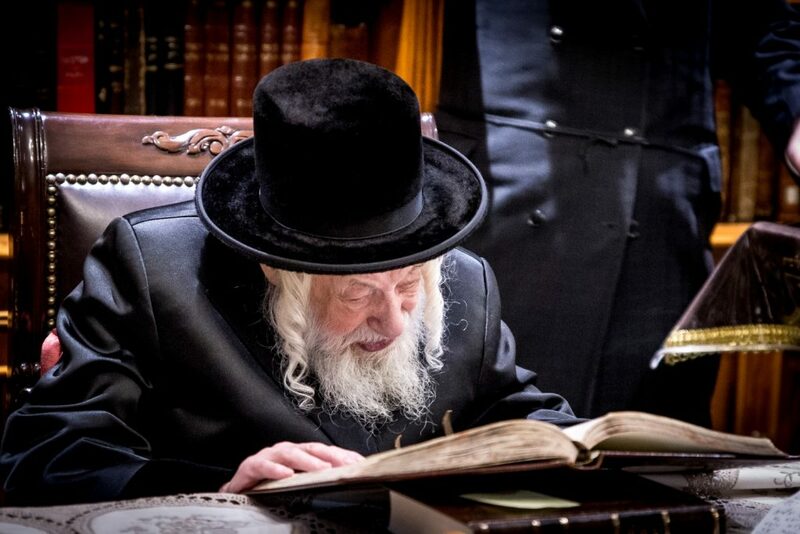 In light of the serious health condition of the Skulener Rebbe, shlita, (Harav Yisrael Avraham ben Sheina Rachel), one of the elder and most widely accepted leaders of Klal Yisrael, the Rebbe’s children called for increased tefillos to be recited on his behalf on Monday, Erev Rosh Chodesh Adar I. The Rebbe’s eldest son, Harav Yeshayah Yaakov Portugal, Rav of Khal Meor haGolah in Montreal, issued a heartfelt plea from the bedside of his revered father in the name of his entire family. Monday afternoon, several of the Rebbe’s children planned to lead tefillos at the kever of the previous Skulener Rebbe, zy”a, in the Vizhnitzer Bais Hachaim in Monsey. Minyanim for the recital of Tehillim and Yom Kippur Katan were called to take place in Skulener batei medrash in Boro Park, Williamsburg, and Lakewood.